I love comedies, it’s such a joy to just sit back and laugh at a film but sequels to comedies are rarely good, there’s only so many ways we can see the same joke told. Well, The Pink Panther series is the largest lasting collection of comedies (that I can think of) with a total of 11 films, why was it so big, why so many, I don’t know but here are my thoughts on the films, from highest laughs to most painful side aches. P.S. this list will be in chronological order as apposed to least favorite to favorite. It’s been called a classic Comedy, but I feel it’s overshadowed by better and funnier sequels, it still packs some laughs and it is a descent start to a descent series. 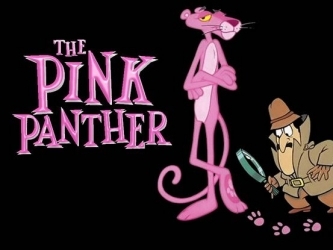 May not have Pink Panther in the title but if you’re a fan of the series than don’t miss this because it’s the best by far, it has the best running jokes, strongest laughs, best story and the funniest strip scene in cinema history. One of the worst movies I’ve ever seen in my life and that says a lot, this film doesn’t even try to be funny, it’s just stupid and incredibly boring. Worst of all, neither the director (Blake Edwards) or the star (Peter Sellers) of the previous and future films were involved. A refreshing return back to what made the pink Panther movies funny but in a standard and forgettable way. My second favorite in the series, a lot of big laughs, crazy fights and a well written, ridiculous, over the top story with crazy dialog and unexpected jokes. One of the better sequels, more memorable and features one of the greatest car chases to be in a comedy. One of the worst sequels in film history, 75% of the film is stock-footage, flashbacks and deleted scenes from the previous movies with nothing new, funny or entertaining for the viewer. There are some funny scenes, but they go too far, up to the point where they become boring and predictable. Plus a crappy new lead to replace the original Inspector Clouseau. More competent than the last two but it has few laughs and feels more like an action packed James Bond film than a Pink Panther comedy. If you’re new to the series than it will provide some good laughs but if you’ve seen all the previous films than it offers nothing new. Another crappy sequel that doesn’t even make an effort to be funny, its mostly boring and painfully standard. So did this series need to be this long? No it didn’t but to be fare some of the earlier sequels were really funny and an improvement over the original, which is rare for sequels to a classic comedy. If you want a few strong laughs, check out some of the earlier films but don’t bother with the resent installments, there not worth it.